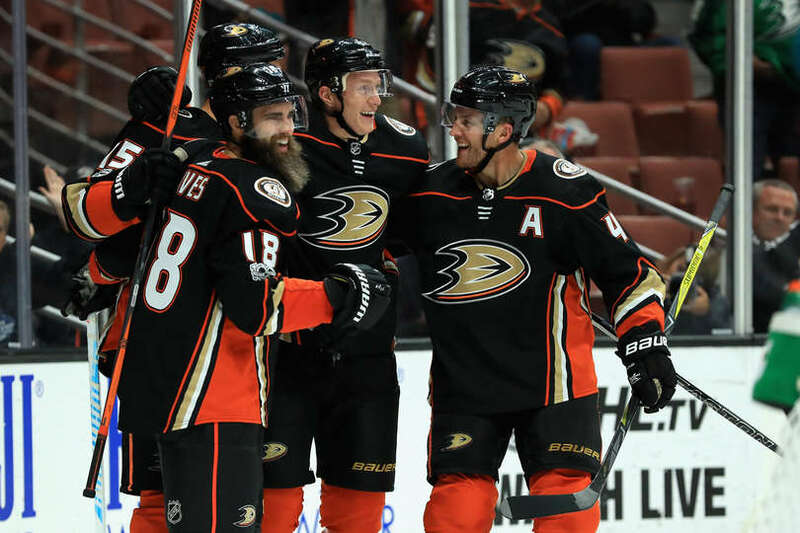 John Gibson made 38 saves and the Anaheim Ducks beat the Islanders 3-2 on Wednesday night, ending a four-game losing streak to New York. Ryan Getzlaf rocketed a pass from the far boards to Josh Manson on the opposite side of the ice. The defenseman's shot ricocheted off the pads of Jaroslav Halak to the front of the net. 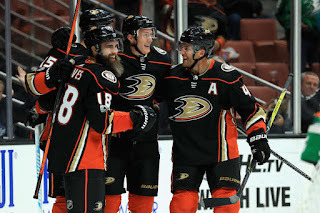 Corey Perry and Nick Leddy both whiffed on their attempts to corral the puck, but the on-rushing Cogliano backhand attempt beat the goaltender to give the Ducks their first lead in the opening period this season only 37 seconds into the game. Brock Nelson tied the game tipping Scott Mayfield's blueline shot through traffic up and over the glove of John Gibson. Islanders head coach Doug Weight challenged the goal asserting the Ducks were offside. After review, the goal was overturned. New York proceeded to kill the remaining 26 seconds left on the penalty. Anaheim fended off a last minute flurry from New York, but Gibson continued to stand on his head for the win. NOTES: Ondrej Kase, injured in Monday's game, is day-to-day with an upper-body injury ... During second period TV time-out, Ducks honored 20 Orange County residents who were injured, or acted as first responders during the Las Vegas mass shooting.